I was very excited to start reading this book and I was definitely not disappointed! The author has given her readers a beautifully written work of historical fiction. This novel intertwines the stories of Grace Munroe, a young british socialite in the 1950’s and of the mysterious Eva D’Orsey, who has made Grace her sole heir. When Grace is informed that Eva, a woman she has never heard of before, has passed away and left her entire estate to Grace, she travels from London to Paris, to learn more about her. The author takes us through the lives of these to wonderful characters, bringing the setting of New York in the 1920’s and Paris in the 1950’s to life. She gives us a wonderful cast of characters, especially Eva and Grace. As part of Eva’s story, we learn about the art of perfume making. I found this part so interesting. I would love to have a perfume that was made especially for me-that takes my nature and personality into account. While I was in Bermuda last month, we happened upon a small perfumery, called Lili Bermuda. They make only a handful of perfumes and they take you through each perfume and explain what the major factor is in the scent. Being the best husband in the entire world, John bought me the one I loved called Fresh Water. I love it, and I was reminded of that special feeling while I read this book. 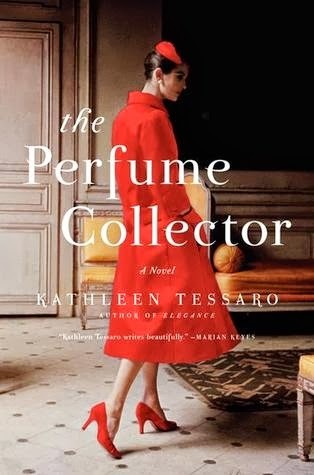 I would definitely recommend The Perfume Collector! I’m so glad that you enjoyed it, too! I was pleasantly surprised at how much I enjoyed it because I thought the perfume part was going to be hokey. I should have known I’d love it, though, because SheReads has yet to disappoint! Such a wonderful book. Like Allison, I was very pleasantly surprised by this one 🙂 I’m glad you liked it! This sounds wonderful and I love learning about new things..plus the time period is one I enjoy, and that cover is lovely. Wonderful review, I added this to my wishlist! This sounds like a book I’d love! 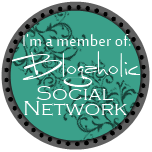 It was really great- you should read it if you have the chance! Definitely on my wish list. I’m fascinated by the art of perfume making. I want my own signature scent, too! I also thought this was really beautifully written 🙂 If you enjoyed the information on perfume, I’d recommend The Perfect Scent as a great book to pair with this one. It’s a fun, non-fiction read which describes how two perfumes were made. One of those perfumes was Sarah Jessica Parker’s and kind of ties into the idea of having a perfume made just for you. This sounds really great! And learning about perfumes sounds interesting! I’ve seen/read a few things about it but not a lot. The perfume you got in Bermuda sounds nice! I must read this. I have read so many great reviews about THE PERFUME COLLECTOR. This book sounds amazing and definitely a must-read for me!